What genre is Horizon? I’m often asked that question, and while it solidly belongs on the shelves next to other science fiction novels, it’s actually much more! I first heard the term “space opera” at a pitch slam a few years ago. A pitch slam is like speed dating with agents. The writer gets three minutes, live, in front of an agent, to enthusiastically rattle off all the important facts about her novel, while making it sound so compelling that the agent simply must ask to see the manuscript! Turns out space opera is a sub-genre of sci-fi (hence the “space” part), but also contains elements of warfare, drama, and adventure. Horizon certainly falls under this category. But even with this added scope, I still struggle to classify it as such - mostly because I think the story will appeal to readers of many genres, not just sci-fi. 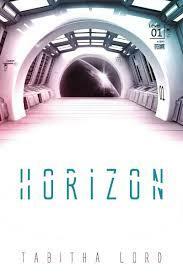 I was once asked to describe Horizon in ten words, and here’s what I came up with: Science fiction meets romance meets survival fiction meets military thriller! It’s a human story, painted on a science fiction canvas. But to tell it the way I wanted, I had to worry less about genre and more about authentically creating my characters and their worlds. The relationship between Caeli and Derek, the two protagonists, is central to the story. I didn’t want to water it down, or put less of a focus on it to please a segment of my audience. On the other hand, I didn’t want to lose or disappoint readers who were counting on a sci-fi action adventure. Tabitha will be awarding a $10 Amazon or Barnes and Noble GC to a randomly drawn winner via rafflecopter during the tour. I have never heard of space-opera; kind of fun! Star Wars is the ultimate, well-known space opera, but I never knew that's how it could be classified! I think I am off to Google space opera. Right! I think for readers that like adventure and good vs. evil plots, but aren't sure about the hard-core sci-fi, space operas are a good place to start. And good luck with the giveaway!!! Great question! I was a Classics major in college so Caeli's name is actually a form of the word caelum which means sky. Other names, for planets and places, I took from star charts, greek words, and cities around the world. Almagest, Caeli's planet, is actually named after Ptolemy's astronomical/mathematical catalogue. I had fun with names, for sure!!!  Thank you for the amazing excerpt and contest! You are most welcome! Thanks for checking it out. Where is your favorite go to spot to read?